I’m not sure how many articles we’ve written about wooden blocks but I for one have reviewed: Zen Blocks, Cubikus, Shapemaker blocks and Citiblocs all in the past year. It’s amazing that designers are able to keep coming up with a new take on the humble wooden block. And here’s another – Tegu. 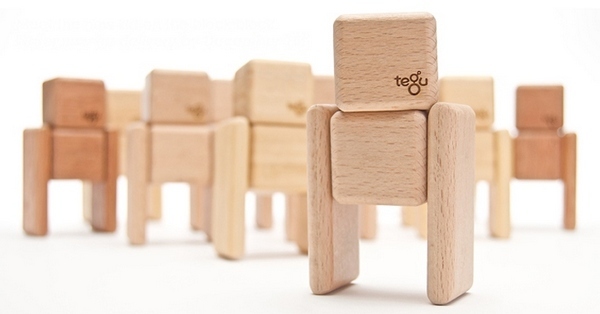 Tegu are beautifully crafted wooden blocks with invisible magnets inside. 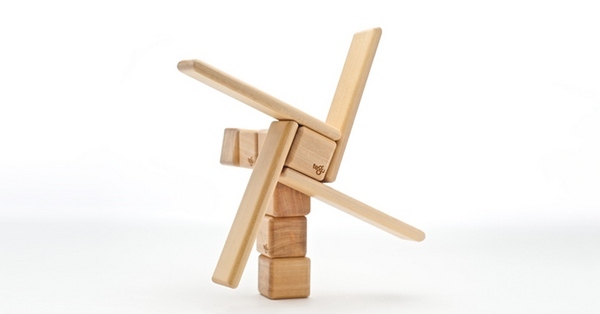 The magnetic connections between the blocks make for constructions that defy gravity and increase a child’s creative freedom – suddenly, wooden blocks are doing things they’ve never done before! Planes, cars, people, animals and more come to life with hidden magnets. There’s another important element to the Tegu story. Tegu is based in Honduras and was established to address unemployment, neglected natural resources and the need for entrepreneurship in one of the poorest nations in the western hemisphere. For every purchase from Tegu, you are given the opportunity to direct a portion of the proceeds to two Tegu initiatives – reforestation and education for the impoverished. Tegu will plant twelve trees in Honduras or fund one day of school for a child who would otherwise be working. A Starter Set of twenty-six blocks is US$50. At this stage Tegu does not ship internationally so a freight forwarder would be required.